All websites on the World Wide Web become live when you put them on a server. There are web hosting companies throughout the world offering their servers with different levels of speed. One can subscribe to them after identifying the need. Sharing based web hosting service is highly in demand as compared to a dedicated server or VPS because if its affordability. However, it is a big question that which server can serve you with the best quality of services. While searching online, you will find the plans for every web hosting service company are almost the same. Still, there is a significant difference in the service quality that depends on the number of total subscribers on a single server. If you want to identify the credibility of a server, a reverse IP lookup tool can help. The reverse IP lookup is a process of identifying the server that is providing the web hosting service. It is an online tool comprising the properties to identify the hostname that has DNS records associated with a particular IP address. As it is clear that the one IP can host multiple domains, therefore, you can check any of the domains associated with that IP to reach the main source. The reverse IP lookup is a very useful tool from the perspective of many objectives such as hacking, marketing and searching for a reliable hosting service provider. You will come to know all these perspectives in the below article in details. Reverse IP Lookup tool analyses by taking your URL or IP address to the web server, so the server will analyze the IP address and search for the other domains that are hosted on the same server and gives back the information of shared sites to the user. The use of reverse IP lookup is to know all other domains hosted on the same server because it is very important for SEO and other factors for those who are hosted on shared hosting. If any other domains are blacklisted or hacked, the search engines detect the IP of the domain and drop the ranking of the website. Also, decreases the ranking of other websites for those who are sharing the same IP address. Looking up the internet host through its IP address is called reverse IP lookup. For instance, it is a kind of way to find that who lives at a particular address that you have. From the perspective of the internet, the process of knowing hosting service provider’s IP and its entire details is called reverse IP lookup. For understanding in detail, you need to know that DNS and IP are two different entities but people consider the same. The term DNS represents Domain Name System whereas IP represents Internet Protocol. It is possible that one IP is hosting multiple domains under a shared hosting system which is very common. If you want to identify the hostname that has DNS records, a reverse IP lookup tool can help in this concern. For your convenience, there is a list of web addresses lookup tool online. There are many online tools where you can find the reverse IP lookup tool which you will be able to use without requiring any charges. Some websites might as to sign up with a user ID. However, most of them don’t ask for such kinds of formalities. Apart from the online tools available on websites, you can also find Google Chrome plugins in the Chrome web store. Install them in your browser and get the results instantly for every website. What is the solution to get a unique IP? To avoid the effect of your ranking going down, you need to upgrade plan from shared hosting to VPS hosting or dedicated hosting. Because VPS or dedicated hosting is only applicable to you and it is not shared by any other domains. Why do we need a Reverse IP lookup tool? The reverse IP lookup tool is very useful from different perspectives. Here you will understand all of them in detail. After designing and developing a website, the next step is to put it on a server. is to make it alive. A website comes live after you put it on a server. Every server has a unique IP address that handles multiple domains on a sharing basis. It is the most popular and affordable way of introducing your website to this world. However, all servers are not reliable enough to provide you with secure access as well as adequate loading speed. If you want to execute penetration testing task, the reverse IP lookup tool can help you in identifying the loopholes. For the execution of this job, the first thing you need is the identification of surface where to attack. The tool is capable of availing you information regarding all applications that are currently working with the server. From this point, you will be able to identify the vulnerable spots. These loopholes are the opportunities for you to exploit the security of a server. This tool gives you a chance to figure out the errors in security as well as provide a gateway for a hacker to access the domains in a server. In the B2B model, this tool is an integral part of searching for all possible opportunities. As a service provider to other businesses, you need to be aware that who is trying to approach you, why they are selecting or rejecting. The reverse IP lookup tool gives you an insight of everyone visiting your website regularly and looking for. You can approach them directly and ask about the requirement rather than waiting for an ad that redirects them. Advertising is an effective online marketing strategy but approaching the clients before they react is a smart business that always gives you a high return on investment. In accounts based marketing, also, the reverse IP lookup tool is helping a lot if you know its optimal utilization. During an email marketing campaigning, you send emails to multiple clients according to their businesses. Now the main issue is, how to know that any potential client is reacting to this mail or not. The reverse IP lookup tool can provide you with information regarding when they accessed your website, which pages are explored to gain information. It is a great opportunity to attract them with customized services that they are actually expecting. From the above article, it is clear that the reverse IP lookup tool is helpful for marketers, website owners as well as programmers. This single tool can be used for accomplishing multiple goals at a time. At first, it was only useful to identify the vulnerabilities of a domain, but many other important uses become apparent as the digital marketing sector evolved. The competition ion digital marketing is rising rapidly because all small and large size businesses are approaching their customers through websites. Even the traditional ways of doing digital marketing are also going outdated. If you wait for the client’s response after executing marketing campaigning, other competitors will hijack your customers. As per the current scenario, it is important to stick with the potential client but without letting them know. If you annoy them by sending random emails without knowing their actual need, next time your emails will directly move to their spam box that badly affect the email marketing campaigning. The reverse IP lookup tool helps you in tracking their activities on your website. It is helpful in identifying the actual requirement so that you can influence them with customized services exactly as they need. How to use Reverse IP lookup tool work? Press enter and wait for a few seconds to reflect the results. You will get the pingback reply from its server. These numeric figures with dots will be the IP address of a domain. 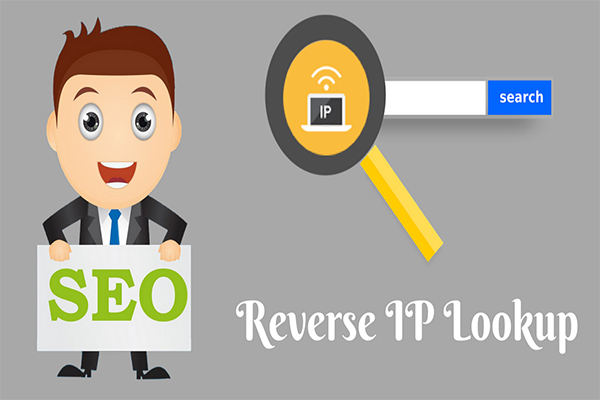 Copy the IP address and open the reverse IP lookup tool from Cool Seo Tools. Paste the address in their search bar and click on its execution button. In just a few seconds, you will get the name of the server which is hosting it along with various other crucial details. Identifying the vulnerabilities of a website in order to rectify them are preventing it from cybersecurity threats. Executing effective digital marketing campaigning by targeting the customers by serving them customized plans exactly as they want. Identification of a good web hosting service provider that protects your domain from potential threats as well as allow adequate loading speed. Now you come to know about the amazing capabilities of a reverse IP lookup tool which is helping the digital marketing experts to provide best in class services. The Same IP with infected virus site can easily affect SEO rankings. So, better to have dedicated IP for your domain. An easy way to find hosting a website is by using the reverse IP lookup tool.